Nation’s border exigency is going effectively unreported by “corporate-funded media,” that is worsening the crisis with immigration policies of Hillary Clinton. The officials have given a warning which was inscribed in a statement by the president of the National ICE Council, that comprises of the country’s agents and personnel and 5,000 frontline officers. Poverty-stricken Hispanic and immigrant communities will be affected hugely by the unrestricted number of incomers into the nation; announced with detailed explanation by Crane. ICE officials, at the front line, made sightings of more numbers of unlawful immigration that never happened before. Corporate-funded Media will not cover the happening. 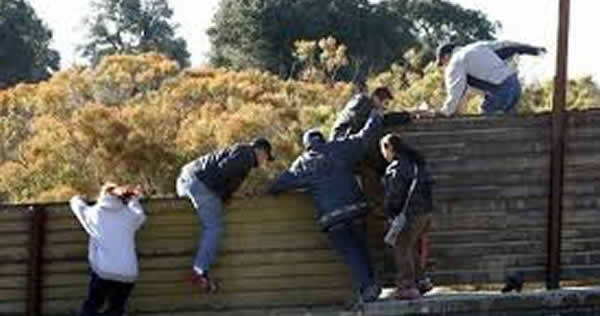 Irrelevant to their purpose and objectives, border intruders are being released by the officials. American society is in a fearsome position where drug cartels, gang members and smugglers are taking advantage of the situation. This kind of influx is impacting the poor communities such as Hispanic communities and immigrant communities who are having to tolerate economic violence and illegal immigration surge. The National ICE Council in September supported Donald Trump over Clinton and “urged all Americans, especially the millions of lawful immigrants living within our country, to support Donald J. Trump, and to protect American jobs, wages and lives.” This was the most noticeable support by the ICE counsel’s first endorsement of each candidate for any elected office.